Termites are a homeowner’s worst enemy. These sneaky insects burrow deep into the foundation of your home and eat away at the wood. Over time, it can cause structural issues and severe damage to your home. That’s why termite fumigation in St. Augustine, FL, is so important. This home treatment service destroys the termites already present and can prevent them from returning. To help you choose the right termite removal service, here are a few things to consider. Look for a guarantee. While termites can be tricky to handle, the right removal service will know what to do. Once the termites are completely gone, the pest control specialist should provide some sort of guarantee on the work that was done. Guarantees are a great way for companies to stand behind the work they perform. It builds a good reputation and is an indicator of a trustworthy business. Before you hire a company, make sure that they offer some sort of guarantee. Check reviews and business ratings. The company that handles the removal of termites needs to be trustworthy. After all, they are handling the structure of your home. For that reason, it’s important that you research your prospective removal service before hiring them. Third party review sites, company websites, and the Better Business Bureau can all provide insight into the reputations of companies. Ask about pest control associations. Your chosen termite mitigation company should belong to some sort of association. 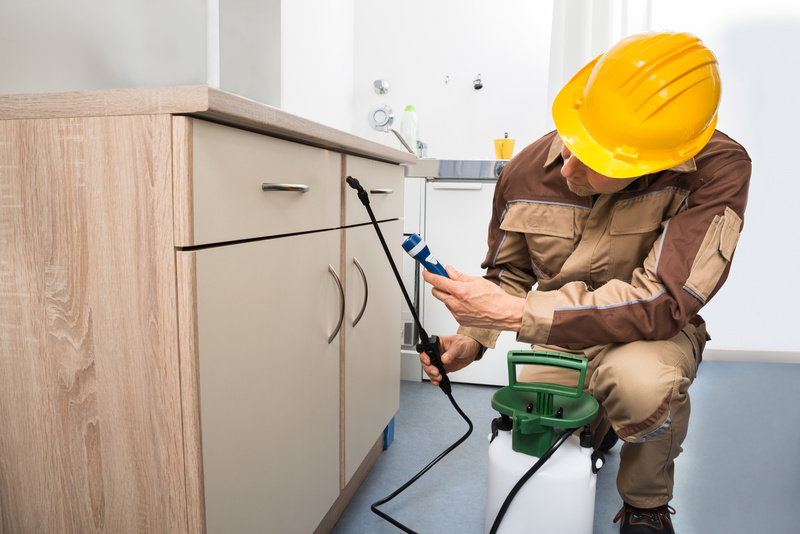 Whether it’s the National Pest Control Association or a local or state pest control association, these groups require their members to work under certain parameters and guidelines. If a company is a member of one of these associations, you can be sure that they perform high-quality work. Get bids from multiple companies. While price shouldn’t be your main focus when hiring a termite removal company, it’s important to consider. Ask a few different companies to come and inspect your home and request a written estimate. Being able to compare different companies’ services and prices is the best way to find the treatment that’s right for your home and fits within your budget. Review the treatment plan beforehand. Once you’ve hired a company, they should present some sort of plan that reveals how they will remove the termites from your home. This plan should include any chemicals that will be used and before and after care solutions. Such plans allow you to prepare properly for the treatment. When you’ve got termites, it’s time to act quickly. With the right home termite treatment in St. Augustine, FL, you can rid your property of these pesky bugs and reinforce the integrity of your house.